Enjoy this beautiful spacious penthouse condo located adjacent to the Highline Canal Trail. It features mountain views from the master bedroom and the covered deck. This end unit is quiet and has plenty of natural lighting. Just steps away is the detached one car garage. The private deck has a sizable storage closet. Additional storage can be found in the walk-in master, linen and coat closets. The family room features a vaulted ceiling and gas fireplace. The separate laundry rooms offers more storage and extra shelving. This resort style living community includes a pool, hot tub, picnic area, fitness center and clubhouse. 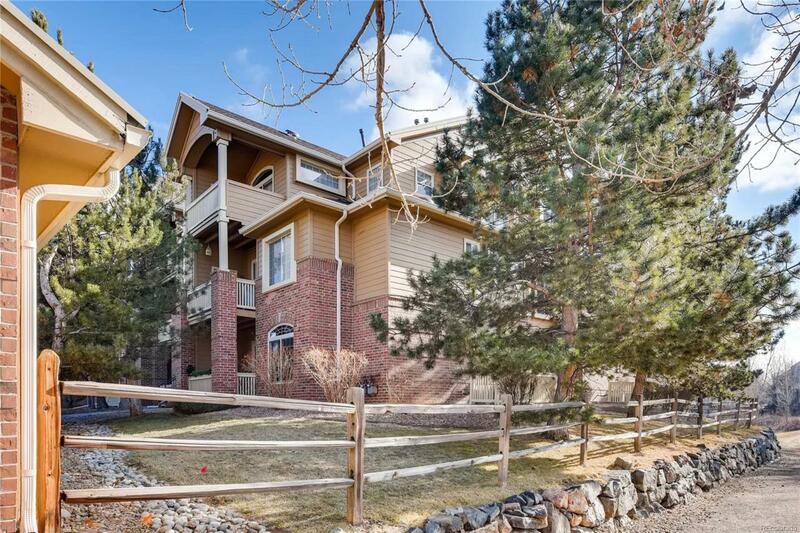 You are minutes away from light rail, trails, shopping, restaurants and C-470.